The golden-mantled ground squirrel (Citellus lateralis) lives in Western United States and Canada, particularly in the Great Basin. It can be found from 4,500′ to timberline. This cute fellow was photographed along the Bumpus Hell Trail at Lassen Volcanic National Park. Golden-mantle ground squirrels are often confused with chipmunks. 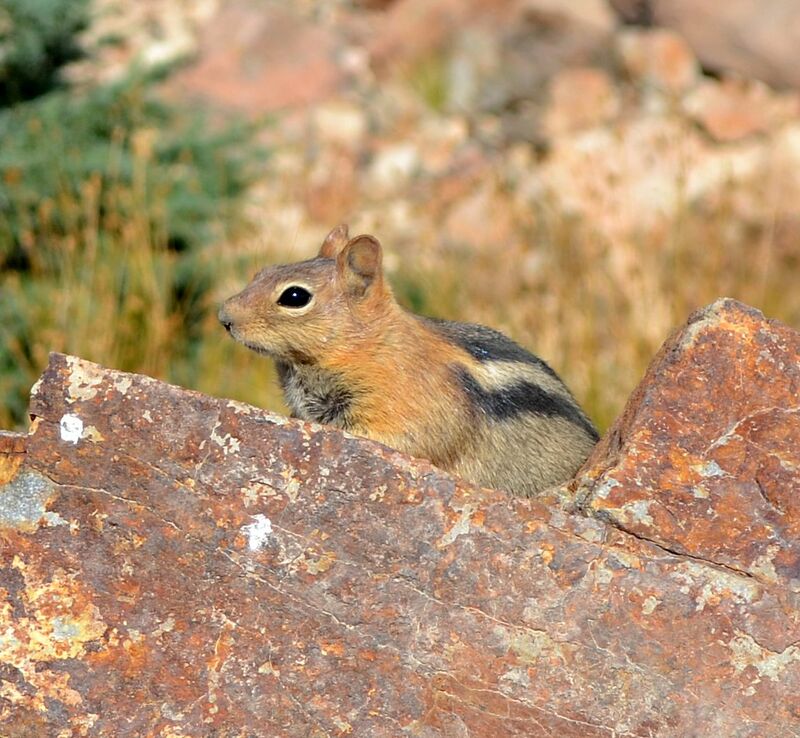 Chipmunks have a stripe on their face, while the golden-mantled ground squirrels do not. Citellus lateralis is also seen in the literature as Spermophilus lateralis. This entry was posted in Mammals and tagged Citellus lateralis, golden-mantled ground squirrel, nature photography, Spermophilus lateralis. Bookmark the permalink. I never knew! I must’ve have confused these guys before. I should go back and look at my so-called chipmunk pictures and see if some are actually ground squirrels.